A Lithium Ion battery is not heavy. The Lithium Ion battery for a Travelscoot weighs under 2 kg and you can travel about 10 miles on one charge. More good news, the Li-Ion battery has no “memory effect”, simply charge it up as and when necessary. Similar batteries exist in your computer, mobile phone and on lightweight mobility scooters. Don’t continue use the Li-Ion battery until its totally out of charge, not possible with the Travelscoot version. If you do have two batteries then use both alternately. Do not put the unused battery into storage. If left in storage unused for too long it dies and is of no use. Use the battery at least once a month and then recharge it fully. Travelscoot have assured me that leaving the battery permanently on charge is not good enough. It is a very popular for portable electronic devices with a high energy density and a very small memory effect. This means you can leave it being recharged with doing any damage. 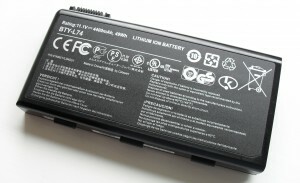 A Li-Ion battery is much lighter than a Lead Acid type seen on so many mobility scooters. So the new light weight battery is becoming more and more popular. Do not allow the Lithium-Ion battery to become completely flat. If the Lithium-Ion battery is fully discharged then the battery can be irreversibly and permanently damaged. The Travelscoot ones do not fully discharge. A Travelscoot will travel 5 Km when the green, amber and red lights are showing. It will do another 5Km when only the amber and red lights are showing. It will do a further 7 Km when only the red light is showing. This assumes a 110 Kg weight on a flat even surface. After 7 km with only the red light I assume the battery has no more available energy. Note it does not fully discharge. Don’t forget to recharge the battery if it has had significant use. It is constantly discharging or losing energy. If the battery has hardly been used then you don’t need to recharge it. Don’t let the battery get too hot or too cold, keep it between 5C and 45C. All things being equal you should get about 3 years of life from the battery. Don’t buy a spare battery when you buy a Travelscoot. It is better to buy one a year or so after buying the scooter. You do not want both of them to die simultanteously. Look after your battery properly and its life will be extended considerably. Do try not to drop it. It is an expensive item to buy so do give it the care and attention it deserves. I must admit that I have answered “dry cell” when I am asked on numerous occasions about the type of battery in my mobility scooter at airports. I always got the impression that if a lithium-ion battery is mentioned sirens would sound and I would be escorted from the airport! This is despite phoning the scooter’s manufacturer (Pride Quest) to request a safety certificate. I think this attitude will change one day – when the airlines catch up with scooters used. People are a bit fuzzy when asked the maximum power for a Lithium Ion Battery on an aeroplane. Best bet is to check with the airline. 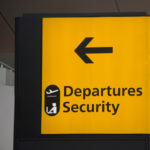 This article might help http://www.airsafe.com/issues/baggage/batteries.htm but do not take it as gospel. The only cast iron rule is that it must go into the plane with you as hand luggage. Usually the important information is on the battery somewhere but not too sure how it all works out. Where can i buy a travelscoot battery in Adelaide.Please. Contact the Travelscoot Australian office, https://www.travelscoot.com/order-now.html#ts-australia. Travelscoot Australia Pty Ltd, P.O. Box 1194, Rozelle, NSW 2039, Australia. Sorry I cannot help you there. You will need to contact Travelscoot directly. They are based in Germany. Best thing is to ring them up 00-49-89-5795-1906 in the morning. If you are disabled tell them cos prices are +VAT so that stops 20% being added to the price. Pay for it by plastic over the phone. 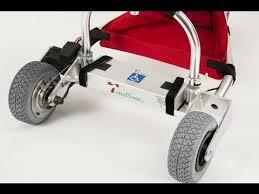 Thank you for contacting easyJet Special Assistance Team and for letting us know about your wheelchair details. The preferred easyJet solution is that the battery remains attached. •	it must not exceed 300 Wh. I hope this as cleared things up for you. Shall you need any more information do not hesitate in contacting us.